Ivan is a data scientist specialising in environmental epidemiology. Between 2001 and 2013 he worked closely with Professor Tony McMichael on the Climate Change and Health program at the Australian National University National Centre for Epidemiology and Population Health. 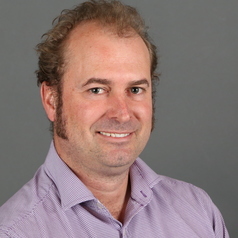 In 2014/15 he led the development of the data portal for the Australian Long Term Ecological Research Network. He has been a postdoctoral research fellow at the University of Sydney since 2017. Ivan's contributions have spanned the range from designing studies, creating datasets, conducting analyses and communicating results. Alongside his experience with empirical data Ivan also has used scenario-based simulations. Ivan’s research focuses on understanding the impacts on cardiorespiratory diseases and mental health disorders from extreme weather events(e.g. droughts or bushfires), air pollution and socio-economic disadvantage.